Blueberry Bars - Kosher In The Kitch! 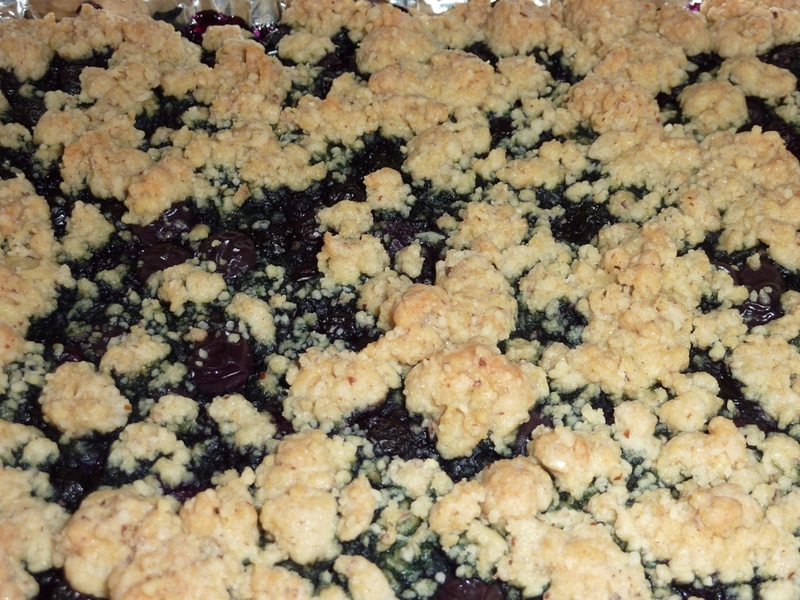 Blueberry Bars - Kosher In The Kitch! 1. Preheat oven to 350 degrees. Line a pan (measuring 8 x 10 on the bottom or narrowest part) with aluminum foil. 2. Mix the first 6 ingredients to form coarse crumbs. 3. Drizzle egg and vanilla over crumb mixture and form a clumpy dough. 4. Put 2/3 of the dough in the pan and press into the bottom of the pan to form an even layer. 5. Spread the blueberries on top. 6. Dot the top with the remaining 1/3 of dough in clumps. 7. Bake until the edges are lightly golden, about 35-40 minutes. Let cool completely. Take out of pan and remove foil and cut into squares.